Those are the names we celebrate during St. Patrick's Day in our family. Buckley is especially important because my husband and I both have Buckley lineage (no they weren't related). His side of Buckleys came from Ireland and settled in Chicago, while my side of Buckleys came over and settled in Delaware. And Patrick Fitzpatrick was a priest, I believe, and I celebrate him because his name is awesome (second only to Benedict Cumberbatch). Yes, people. It's once again time for St. Patrick's Day. Time to dust off your best drinkin' boots and raise a glass. Time for consuming corned beef and cabbage, and tons of potato dishes, Guinness, and copious amounts of Bailey's Irish Cream. Time for busting out all that Celtic music and your old Riverdance soundtrack. What a great way to herald in spring with all that singin' and drinkin' and eatin'! Am I right? I've heard tell that actual Irish people look at Americans and shake their heads wondering if we've all lost our marbles when it comes to our St. Patrick's Day shenanigans. They probably look at celebrations like the one in Savannah, Georgia (which is on my bucket list to attend one day!) and are baffled at what we're doing. But I think for most of us who truly enjoy celebrating Irish traditions, foods, and music, we're actually celebrating our Irish-American ancestors. Those who came to America with very little and carved out a life for themselves. They were a huge part of "the hands that built America." And that's where Corned Beef and Cabbage comes in. I have never known, as long as I've been alive, for a year to pass by when I didn't have this dish on St. Patrick's Day. My mom made it, served with whatever potato dish she felt like making, spicy horseradish and mustard, and always Irish Soda Bread. 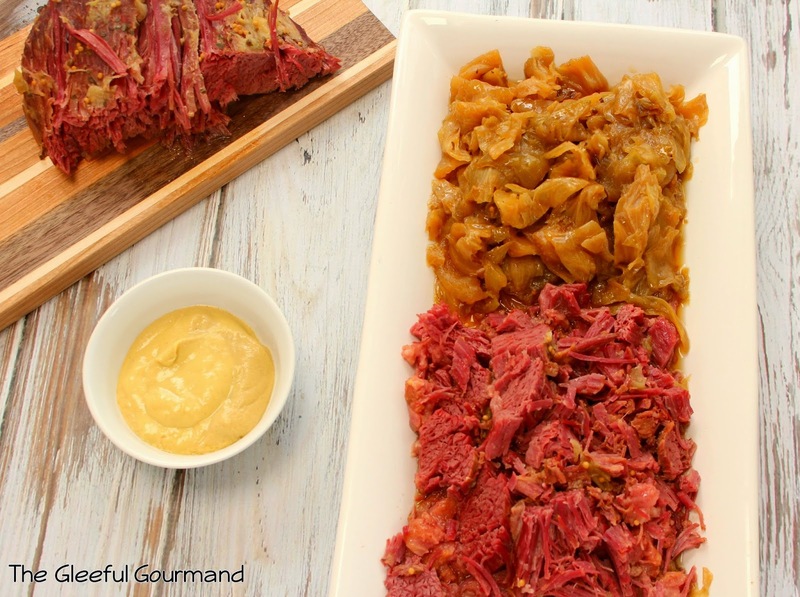 Corned Beef and Cabbage actually came about from Irish immigrants living in New York City, who would frequent to their local Jewish deli and lunch carts. It was there that they discovered corned beef, a tasty and cheap alternative to their beloved cured pork. Also cheaper than the potatoes they loved? 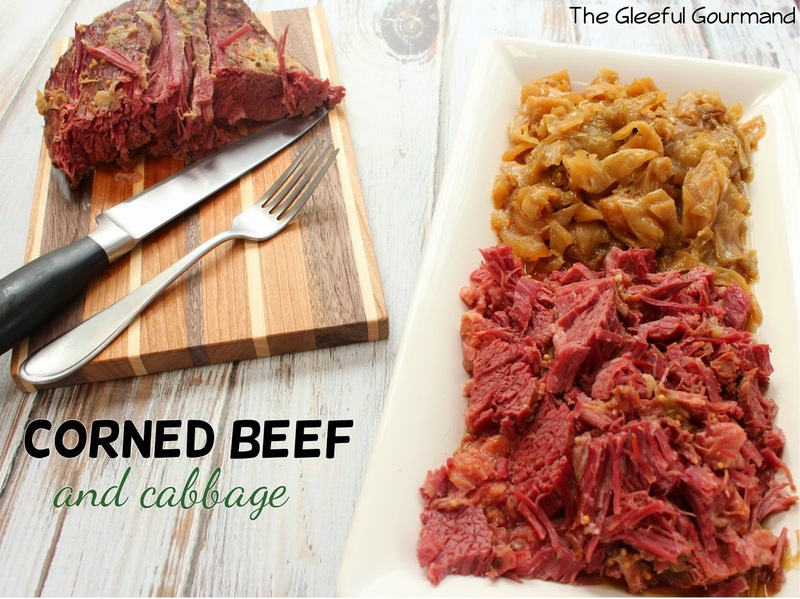 Nutritious cabbage, which, when boiled with all the curing herbs and spices of the corned beef made for one super-easy, super-tasty dish. It's fame spread quickly throughout America. 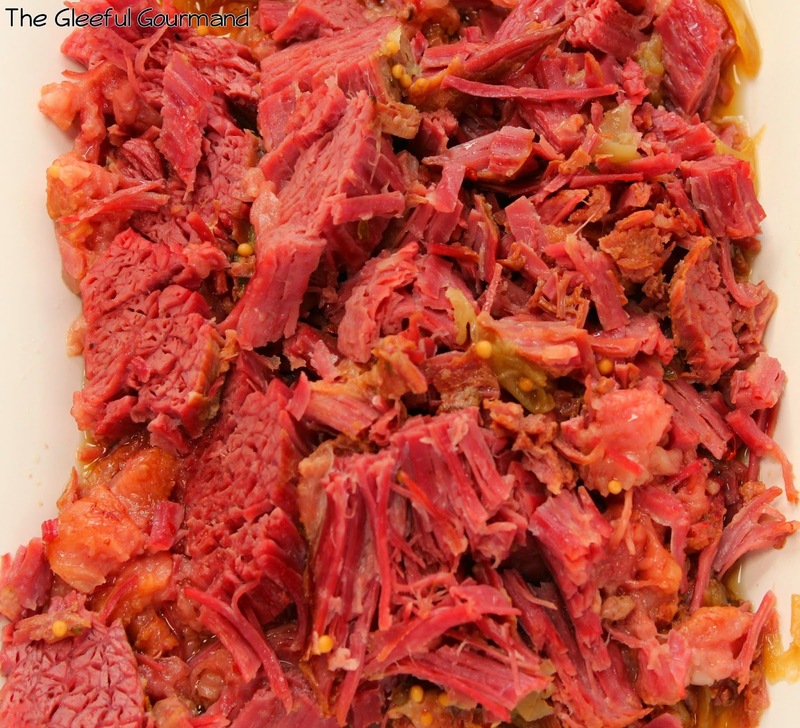 Although I've known for a long time that my Irish ancestors didn't eat this dish in Ireland, I like the fact that we eat it on St. Patrick's Day, because for Americans, it's truly a dish that celebrates the past, and the present. The recipe I use is the same one my mom has used since 1975, and it couldn't be easier. 1. 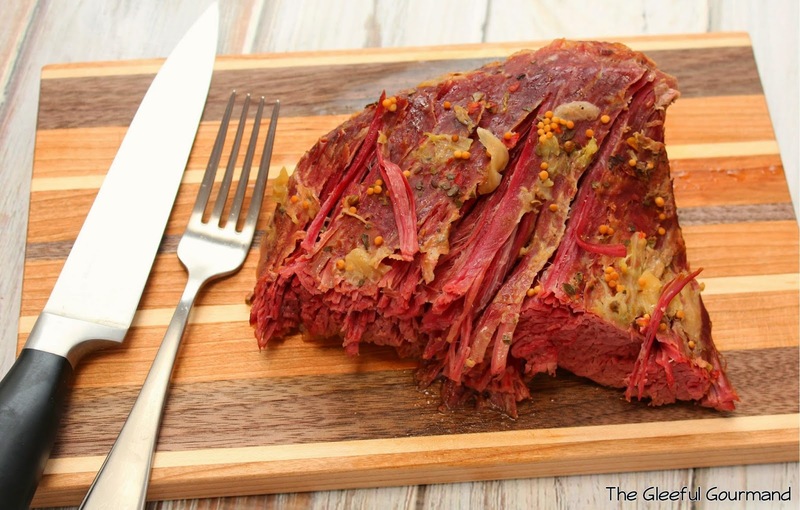 Place the corned beef brisket in your slow cooker. Most will come with an extra packet of spices. I used about half that packet and rubbed it over the brisket. You may need to cut the meat in pieces if necessary in order to fit. 2. Place onions as you can around the brisket, and the cabbage on top. 3. 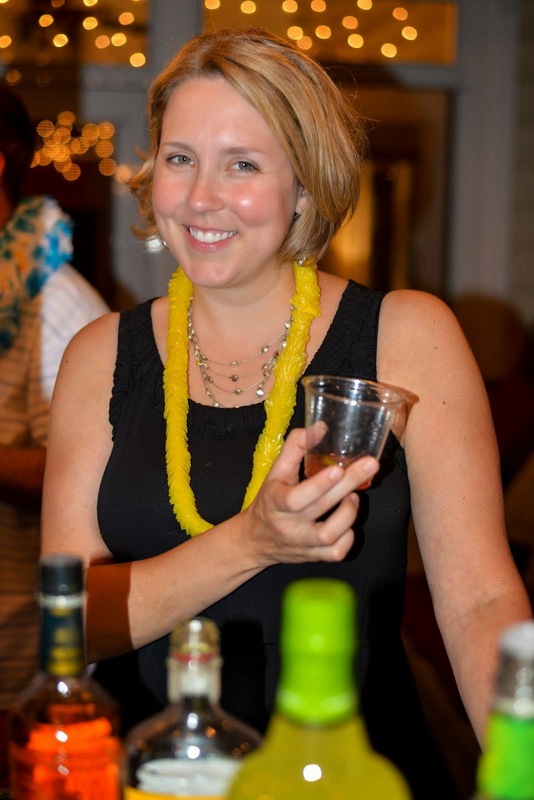 In a measuring cup, combine pepper, vinegar, sugar, and water until sugar dissolves. Pour over the cabbage and brisket. 4. Cook on low 10-12 hours, or on high 6-7 hours.